FSP has demonstrated an ATX power supply unit with liquid cooling at Computex. The manufacturer claims that liquid cooling ensures that the PSU stays quiet even under high loads, while its customizable RGB lighting adds style to PCs. 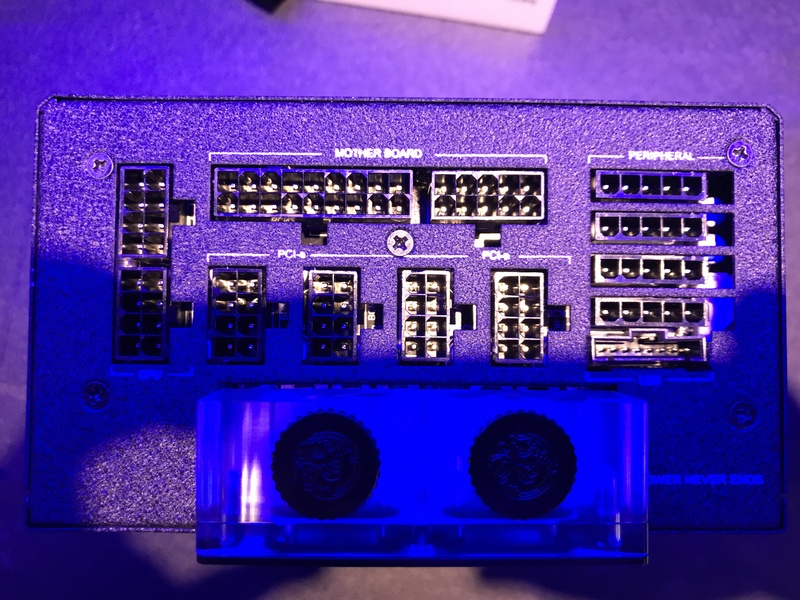 Although PSUs with liquid cooling have been demonstrated at various industry trade shows in the past as prototypes, they have never made it to the mass market. By contrast, FSP’s unit is farther along and looks likely to make it to retail. The FSP Hydro PTM+ PSU is rated for a 100 A maximum load and 1200 W power, in line with many air-cooled PSUs. The power supply comes in the ATX form-factor (since it looks like a commercial product and even carries the 80 Plus Platinum badge, it is also likely compliant with the ATX12V v2.31 as well as EPS12V standards) and is 220 mm long. The power supply has a modular design as well as a 140 mm fan, but unlike in the case of regular PSUs, this fan will not speed up under high loads because key components of the power supply are cooled using a waterblock plugged to a loop that also cools CPU or GPU. FSP tell us that due to liquid cooling, its PSU should remain quiet even under high loads. 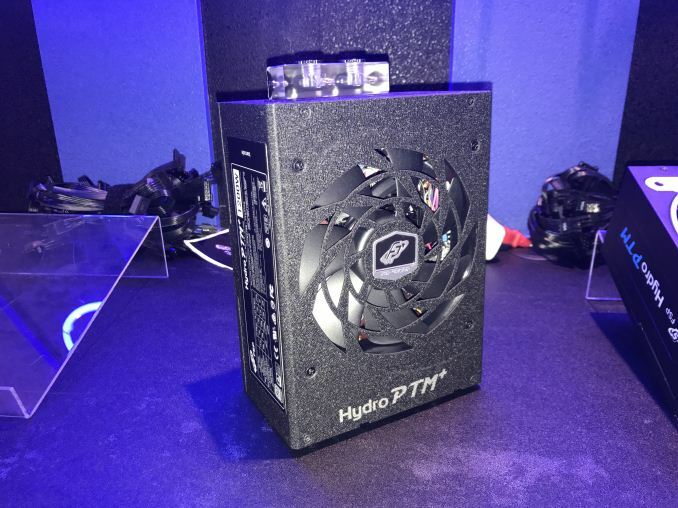 The Hydro PTM+ PSU is compatible with various custom-built liquid cooling systems. 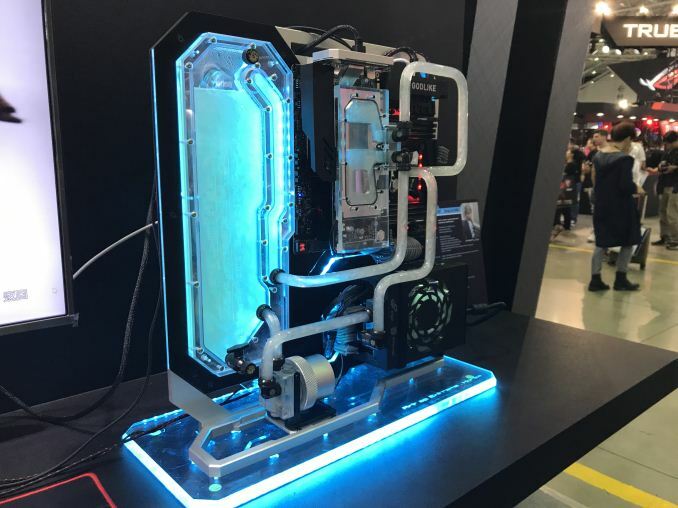 In its booth at Computex the manufacturer demonstrated an open liquid-cooled PC running its PSU, but it says that the unit can be integrated into any computer with a custom LCS, except, perhaps, machines that have a cage for storage devices near the PSU. 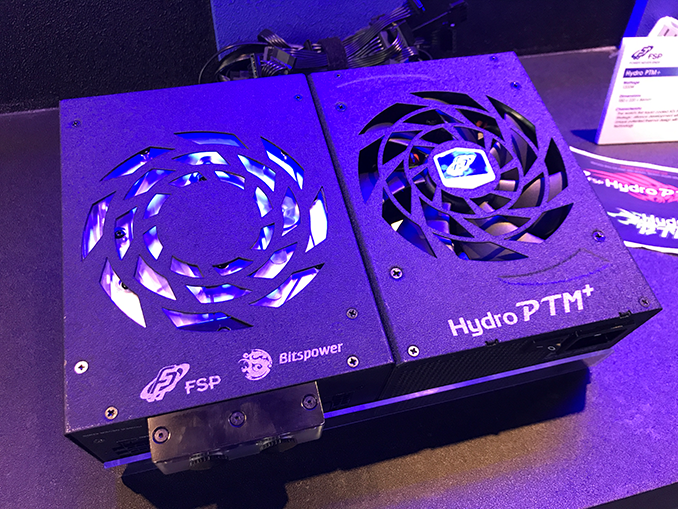 Based on the demo system created by a famous modder, as well as the PSU's customizable RGB lighting, FSP plans to offer the Hydro PTM+ primarily to the modding community looking for ultimate style. Liquid cooling is usually used to remove heat from overclocked CPUs and GPUs without excessive noise. Meanwhile, overheating PSU components may generally signal of low efficiency of the power supply itself (tougher components designed for higher loads wouldn’t overheat). Nonetheless, the 80 Plus Platinum badge is supposed to tell us that efficiency of the FSP Hydro PTM+ product is rather high (albeit, at unknown temperatures). It is noteworthy that along the highlights of its product FSP also mentions something called “power overclocking technology”. Based on what the company told us, once LCS is applied, it “enables” the PSU to “handle a 1400 W output". Technically, any PSU has a peak power output that is higher than the rated maximum output, but they can only work at peak for a short period of time. Apparently, FSP allows its PTM+ to run at 1400W for longer periods, which basically means that this is a 1400 W PSU rated for 1200 W that got its 80 Plus Platinum badge at 1200 W. How high its efficiency is at 1400 W is unknown. FSP is still finalizing design of the Hydro PTM+ 1200 W and consequently has not announced when it might be available. The company is looking at $700 as a possible price point for the PSU, but depending how the company positions the unit, that number may go up or down. Given how special the product is, FSP may try to sell it to enthusiasts who want maximum performance and minimal noise and on that market high price tags are common. Alternatively, FSP may try to address the ultra-high end segment of the mass market PSUs and in this case it will have to slash the price and explain the end user why a liquid-cooled power supply is considerably better than a regular one. Testing here's shown a number of allegedly platinum PSUs falling short by 0.5-1%; which is 6-12W on a 1200W unit.